Live data of flight controls, video feedback and the aircraft’s battery levels can be exported via the HDMI Output Module. You can also choose to switch off the data display on your app. This module can be mounted on the back of the Phantom 3 (Pro/Adv)‘s remote controller. 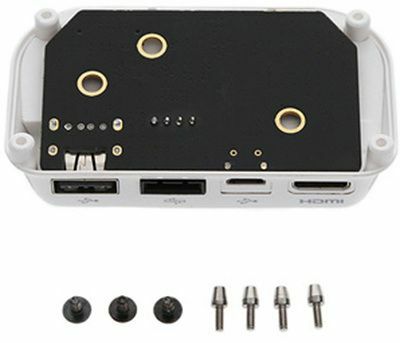 It includes a Mini-HDMI output port, Micro-USB port, USB port and a CAN expansion port.